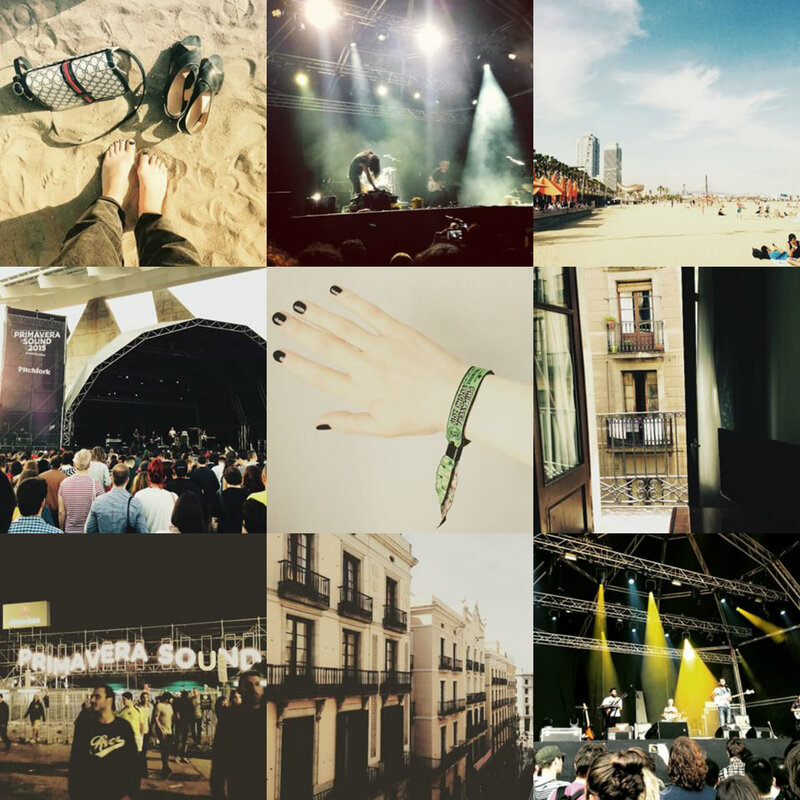 I've been promising a Primavera roundup on the blog and unlike last year, I managed to take a few more Instagram worthy snaps on my phone this time around. I didn't take my phone out with me much of the time last year; Adrian had his cheapy pay as you go mobile and I didn't want to run up a huge roaming bill or have it pickpocketed, so I took a classic disposable camera instead. This year, I took a more secure handbag and whilst I used my instant camera it was a bit big to carry around the festival all day so I saved the snaps on that for blog pics and photos with friends, meaning I had to rely on my phone to take the photos inside the festival. I don't really like using my phone too much at gigs because I feel like I miss out on enjoying the actual music if I'm focusing on getting great pictures. I did take a few snaps of the bands here and there and more of the architecture this time and days out at the beach. The bands I did take pics of here were Ought, Viet Cong and Health and they were all really good, but there were many other amazing artists that I was too busy dancing to, to take pictures of! We stayed in Barcelona for a couple of days after the festival to enjoy the sights and sounds of the city, and this involved plenty of time on the beach, as well as trips to the Sagrada Familia and Park Guell. The weather was infinitely better this year than last, for most of PS'14 I was wearing my coat and trying to keep my sandalled feet out of the rain but this year was much better; hot and sunny every day with temperatures in the high twenties. I actually wish I had packed more 'hot weather' gear but as someone who often feels the cold I left the booty shorts at home which was probably an error!